Due to demand by customers looking to express their KBS Pride, we announce our KBS Gear T-Shirts! Made of ultra comfortable 100% pre-shrunk cotton & available in popular colors. 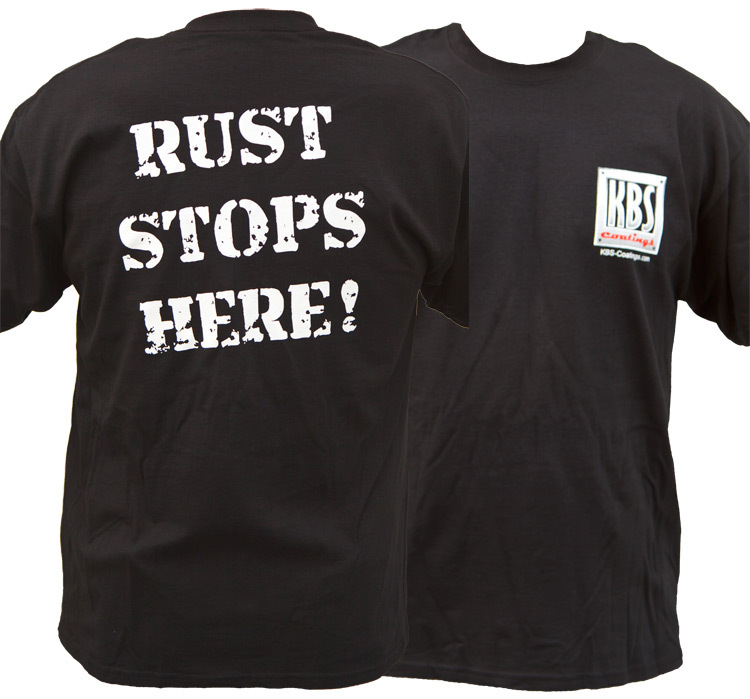 Each shirts proudly displays the KBS Logo and declares what all KBS users know...RUST STOPS HERE! Sign up for our KBS email list to be eligible for future promotions/rewards when you are seen wearing our KBS Gear. This T-Shirt looks great. I love free stuff. The shirt is great. I've been using KBS products for years. I tell other people about KBS all the time and now my job became easier with this shirt. Due to demand by customers looking to express their KBS Pride, we announce our KBS Hats! Each shHat proudly displays the KBS Logo and declares what all KBS users know...RUST STOPS HERE. Sign up for our KBS email list to be eligible for future promotions/rewards when you are seen wearing our KBS Gear.